Stuart G. Porter, Sr., 78, passed away January 23, 2019 at home. Stuart was born December 13, 1940 in Jefferson City, Missouri to Mr. and Mrs. William Porter. When he turned thirteen years old, he moved to Kansas City, Missouri. Stuart worked for J. E. Dunn for nineteen years as a foreman in construction. Stuart retired in 1983. Stuart was preceded in death by his dad, mom, two brothers and his only son. 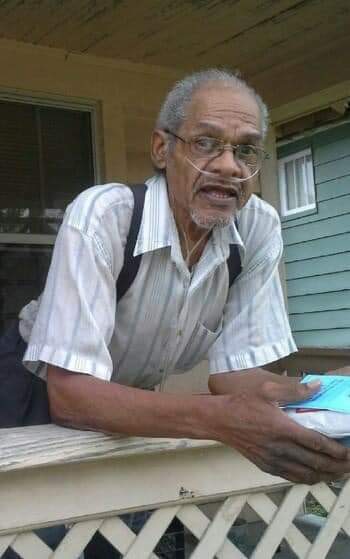 Stuart is survived by his daughter, Lori Porter of Kansas City, Missouri; his sister, Marion Ruth Galbreath; his brother, Carrol Porter of San Diego, California; three grandchildren, MaKylla, DaVonte and DaJuan of Kansas City, Missouri; a great grandson, Jy’Aire; his nieces and nephews and a host of relatives and friends.